This is a 925 Sterling Silver Photo Engraved Necklace, featuring your photo on one side and a name, date or short message on the reverse. 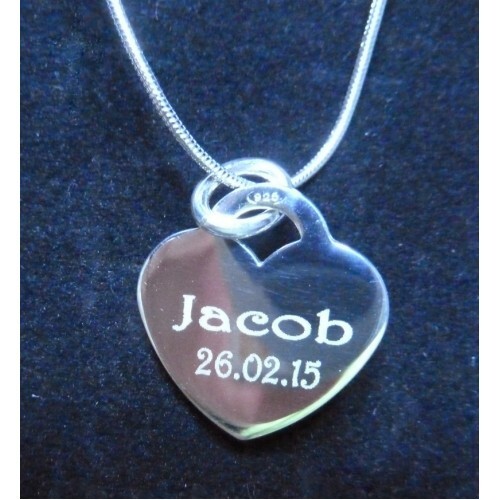 The heart charm is attached to a FREE sterling silver, fine curb chain and is a perfect personalised gift for so many occasions and your finished necklace will come presented in a FREE luxury gift box, so perfect as a gift for someone else or just a precious keepsake for yourself. Simply upload your photo to your order. If you have any difficulty doing this then you may prefer to email them to us, just please include your order number and name in the email. 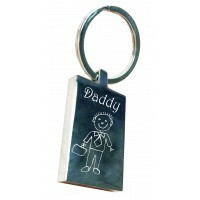 Add a stainless steel key ring to your order for £15.00. The key ring will have the same photo as we have prepared for your charm; the key ring is approx. 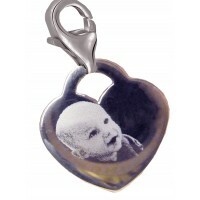 35mm x 25mm although you may get slightly more of your original photo on the key ring as it is a larger space. Photos should be clear and straight on of the desired person please ensure any photos are good quality, please do not crop your photos, it is better to leave us to do that for you, photos that have good contrast with plenty of dark and light detail work best and not a shadowy photo, this way we can be sure of creating the best possible piece for you. 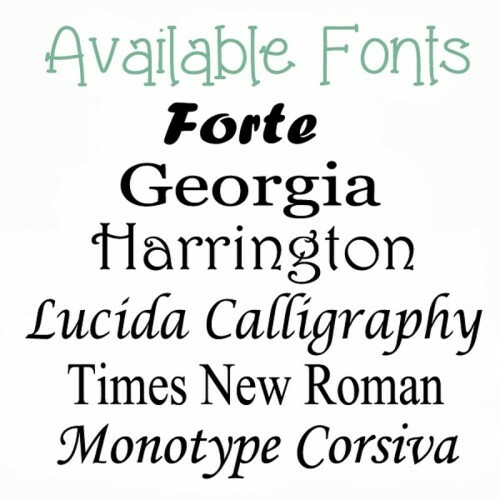 Please note if an italic font is chosen then the text may look slightly off centre. Upload your main photo here, pictures should be no more than 1MB in size and please ensure that any images you send us are clear quality, good contrast between the subject(s) and the background ensures the best results for you. We can add names, dates or text to the back of your item for no extra charge, if you wish to add a photo to the reverse of your item then there is a small extra charge for this and if you want a photo then there is no room for any text on the reverse. Please only use this upload if you have chosen the option to have a photo engraved on the back. Please note that if you add a photo to the back then there is no room for text as well. Please let us know what text you want written if you chose to add text, if you opted for a photo instead then please leave this blank. 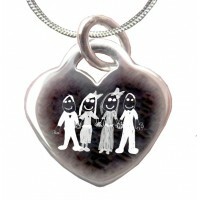 We offer an express 48 Hour engraving service plus next day delivery service for items that are required urgently. This means you can have your item within 3 days of us receiving your order and art work (please note that this timescale is from when we receive your artwork back and not from when you place your order if you need to send us photos or prints). This offer is for UK Mainland only and is excluded form all other postal areas, for more details please ask. Details This is a beautiful, 925 sterling silver, engraved hand print footprint, heart neckl.. 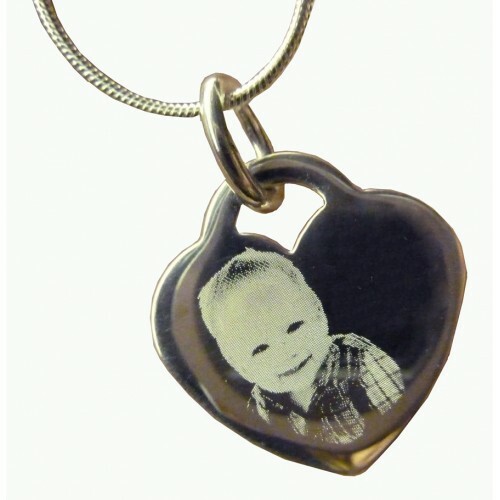 Details This is a 925 Sterling Silver Photo Engraved Pandora Style Charm, featuring your pho.. 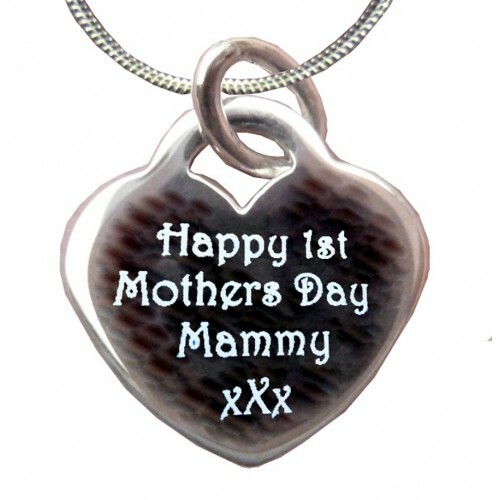 These are stunning quality, 925 silver, double heart, engraved photo necklaces, made especially for ..
A Sterling Silver Engraved Necklace Changed My Name to Mummy necklace, this is a top quality 925 sil..
An Engraved Silver Necklace Changed My Name to NANNY necklace, this is a top quality 925 silver hall.. Details I Love You To the Moon Silver Necklace, this is a 925 sterling silver, engraved, heart neck.. 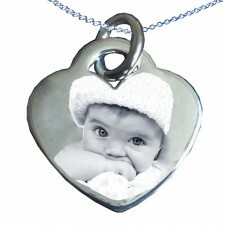 This is a top quality 925 silver hallmarked, Best Mum heart pendant on an 18" sterling silver, fine .. Details This is a 925 Sterling Silver Hand Print Footprint Pandora Style Charm for one child, fea.. This is a chunky 925 sterling silver, heart bead charm is a Pandora style bead, this heart charm bea.. 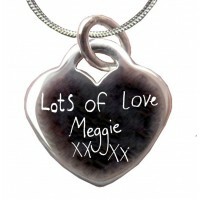 This is a chunky 925 silver, Pandora style heart charm, this heart charm can be engraved with a name.. This is a top quality 925 silver hallmarked, heart pendant on a FREE 18" sterling silver, fine snake.. 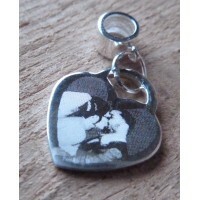 This is a chunky 925 silver, Photo heart Pandora style bead this heart charm can be engraved with a .. 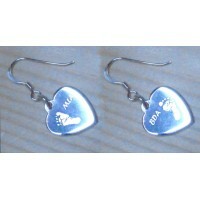 These are super quality, 925 sterling silver, hand print or footprint engraved heart.. 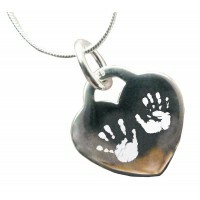 Details This is a 925 sterling silver, engraved hand print footprint, heart necklace with tw.. These are super quality, 925 sterling silver, hand print or footprint engraved heart necklaces, made..
A perfect gift for a Mum/ Nan of four children, these are our 925 sterling silver, hand print or foo.. 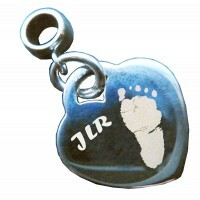 Details This is a stainless steel, engraved hand print footprint, key ring for four children, featu.. 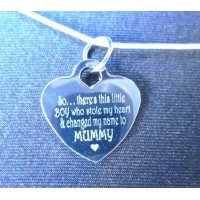 Details This is a 925 sterling silver, engraved heart necklace, featuring the words 'If Mum's were .. Details This is a 925 Sterling Silver wedding Photo Engraved Pandora Style Charm, featuring .. This is a chunky 925 silver, Pandora style heart shaped, bridesmaid bead, this heart bead has Brides.. 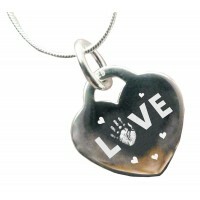 Details This is a sterling silver, engraved hand print footprint, heart shaped Pandora style bead.. 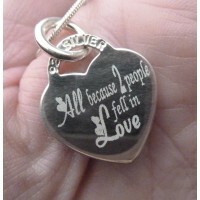 Details Silver fingerprint necklace, this is a sterling silver, engraved fingerprint, heart necklac.. 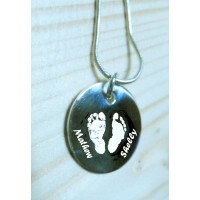 Details Silver fingerprint jewellery, this is a sterling silver, double engraved fingerprint,&nbs.. 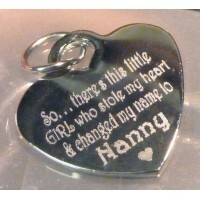 This is a chunky 925 silver, heart charm on a Pandora style fixing, this heart charm can be engraved.. 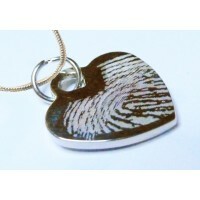 Details Engraved Fingerprint Necklace, this is a sterling silver, engraved fingerprint, hear.. 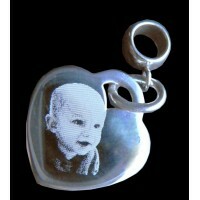 Details A 925 Silver Photo Engraved Clip Charm, featuring your photo on one side and&nb.. 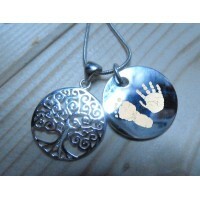 Details 925 Sterling Silver Hand Print Footprint Clip Charm for one or two children, featuring one .. 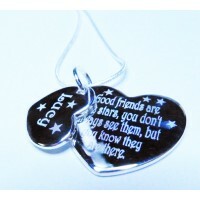 These are stunning quality, 925 silver, double heart, engraved Good Friend necklaces, made.. Details 925 Silver, one print Necklace Round, this is a beautiful, sterling silver, engraved..
A personalised 925 silver Family Tree and Prints Necklace is a Silver Tree of Life Necklace with a s.. 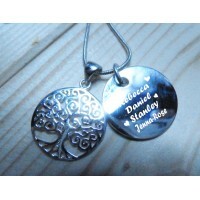 Details A Family Names and Tree of Life Necklace, personalised with your family's names, this is .. 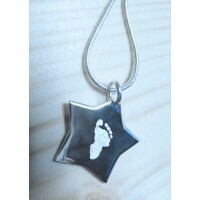 Details This is an Engraved Hand Print Footprint Silver Star Necklace, featuring one print o.. 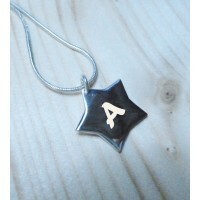 Details This is an Engraved initial Silver Star Necklace, featuring an initial on one s.. 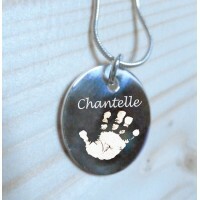 Details This is a beautiful, sterling silver, Mini Silver Engraved Hand Print Footprint ID Tag, fea.. 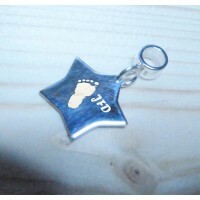 Details This is a personalised Charm Pandora Style Sterling Silver Star Hand Foot print.. Details 925 Silver, two prints Necklace Round, this is a beautiful, sterling silver, en.. 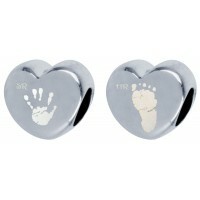 Details 925 Silver, engraved hand prints or footprints earrings, featuring prints and .. This is a chunky 925 silver, Pandora style heart shaped, maid of honour bead, this heart bead has Ma.. 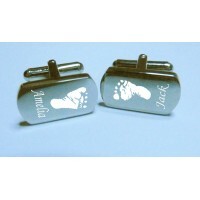 Details Personalised engraved hand print or footprint cufflinks, featuring a print and a name (if.. 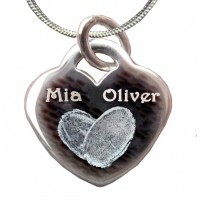 This is an Engraved Silver Double Heart Necklace, made from 925 silver, this luxury double.. 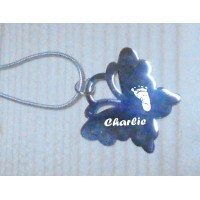 Details This is a Butterfly shaped, Engraved Hand Print Footprint Necklace with a single pri.. 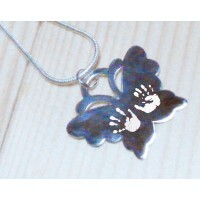 Details This is a Butterfly Hand Print Footprint Necklace for up to four prints (two on each side.. Details This is a 925 Sterling Silver, in memory Hand Print Footprint Pandora Style Charm for one c.. 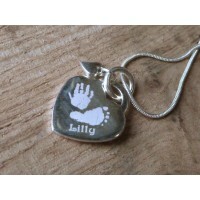 Details This is a 925 Sterling Silver Oval Hand Print Footprint Pandora Style Charm for one child, .. Details This is a beautiful, Engraved Hand Print Footprint Necklace with dangling heart, featurin..
A Sterling Silver Engraved All because 2 people fell in Love Necklace, this is a top quality 925 sil.. 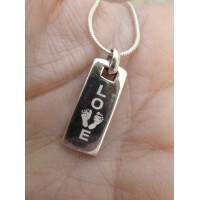 Details This is a 925 Silver Footprint "Love" Tag Necklace, featuring the word 'LOVE' with your c..
A Sterling Silver Engraved This Mummy belongs to Necklace, this is a top quality 925 silver hallmark..
A Sterling Silver I Love You Mummy Personalised Necklace, this is a top quality 925 silver hallmarke..
A Sterling Silver Doodle Charm Personalised Silver Necklace, this is a top quality 925 silver hallma.. 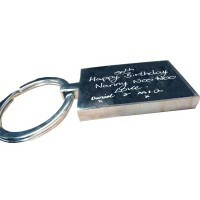 Details This is a 925 Silver Heart Love Necklace, featuring the word 'LOVE' with your child's han..
A Doodle Drawing Key Ring, this is a top quality stainless steel key ring, your child's drawing on t..
A Sterling Silver Engraved This Nanny belongs to Necklace, this is a top quality 925 silver hallmark..
A Sterling Silver Handwriting Personalised Silver Necklace, this is a top quality 925 silver hallmar.. 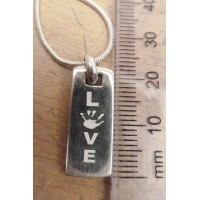 Details This is a 925 Silver Hand print "Love" Tag Necklace, featuring the word 'LOVE' with ..
A Handwriting Key Ring, this is a top quality stainless steel key ring, your child's handw..
A Teacher Doodle Drawing Key Ring, this is a top quality stainless steel key ring, your child's draw..